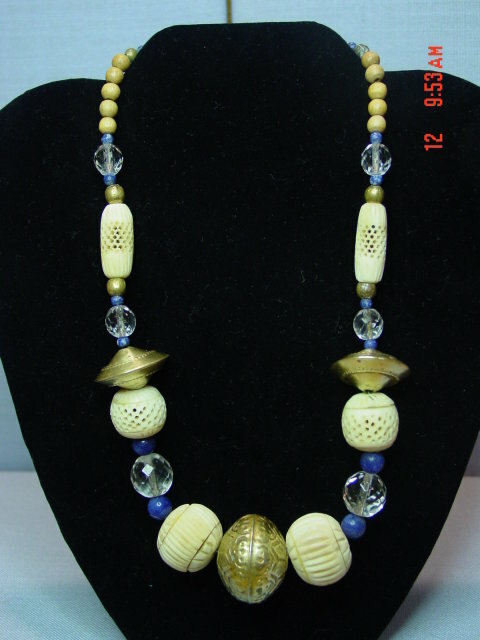 Vintage ethnic style necklace with beads made out of brass, carved glass, blue lapis, wood, and what look to be carved bone beads. 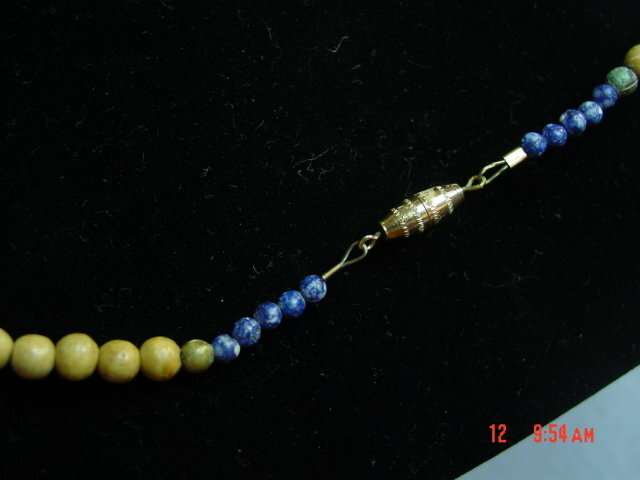 It is strung with two ply wire and has a goldtone barrel screw closure. 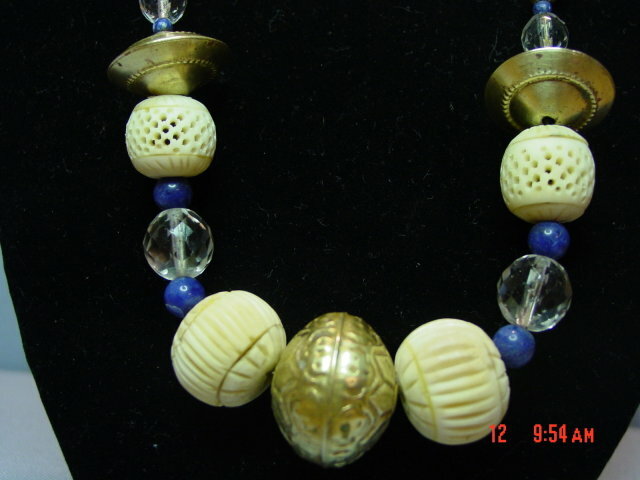 Items Similar To "Vintage Ethnic Brass Lapis Crystal Carved Bone Bead Necklace"